I recently purchased a Pentax 645z. There are actually not too many reviews to be found for this somewhat rarefied camera (and those that exist are often for fashion, wedding or commercial work) so I thought I should provide my own thoughts on it from a landscape photography perspective. It won’t be a highly technical review with shots of test charts and deep technical analysis. Just my thoughts on how it suits my own requirements for landscape photography. If you know anything about, and are interested in this camera I will assume you have a pretty good idea of its specs or know where to find them. This camera is priced much lower (half the cost or even less) than competing medium format systems and offers the best durability, usability and feature set of any medium format digital camera. It also has arguably the best image quality of any available still camera at the time of writing. For further reading the photographer who has probably done the most detailed review is Ming Thien. What about the Canon 5DS? I made the decision to buy the Pentax 645z camera after the announcement from Canon that they would be releasing the 50mp 5DS body. This may seem like a strange choice given that I already have a stack of canon lenses and the new Canon would have been half the cost of the Pentax body (not counting the Pentax lens I needed to buy as well). However 50 megapixels is a lot to fit on a 35mm sensor and physics is physics. It is still preferable to have the same MP on a sensor that is 1.7x larger in area and has much bigger light buckets (pixels) and the signal to noise ratio is always going to be more favourable. That’s not to say the Canon has poor image quality. 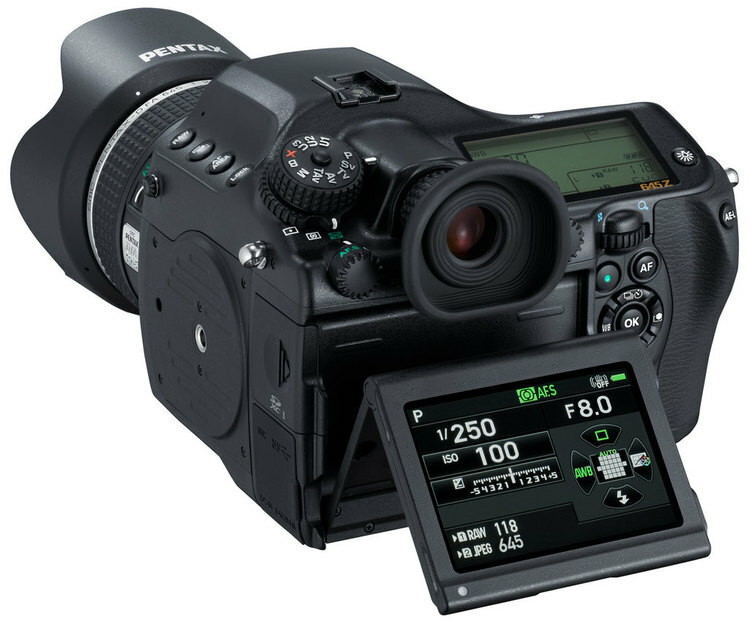 It doesn’t, but high ISO (like when shooting the milky way at night or taking very long exposures) are not its strength and it does not have anywhere near the dynamic range of the Pentax sensor which is approaching 15 stops. Speaking of dynamic range the Pentax has essentially the best DR of any camera available at the moment with its Sony developed sensor and I will cover this more below. In my research I read several reviews that showed examples of just how much shadow detail the files had and it seemed generally accepted that the image quality that the camera produces is essentially the best available for purchase right now – at least in a camera that costs less than $20K. On the other hand I knew for sure that image quality of the 5DS though good, would not be as good. Obviously the closer you get to the bleeding edge of what is available in technology, the more you pay for smaller and smaller gains so that is just something you have to accept at this end of the market. Being a larger sensor the lens ‘crop’ factor means that for a given field of view a longer focal length lens is used, which results in less distortion. 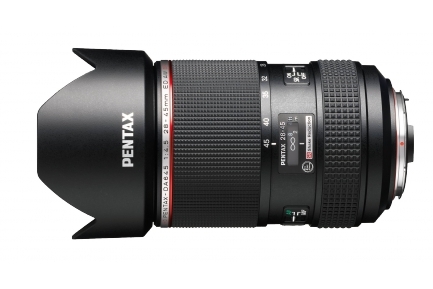 For example a 28mm focal length on the Pentax provides a field of view similar to that provided by a 21mm focal length in a 35mm sensor. This is part of the reason for the medium format ‘look’. There are also differences in the shallowness of the depth of field that is achievable but this is of more of interest to portrait photographers shooting with large apertures. Its worth making the point that 50mp sensors are a waste of money for anyone who wants to put images on the web. Files like this camera makes were made for printing huge. If you shoot for web galleries or small prints don’t even consider buying a 50mp camera! The Pentax body is useless without a lens so of course I had to purchase one of those as well. 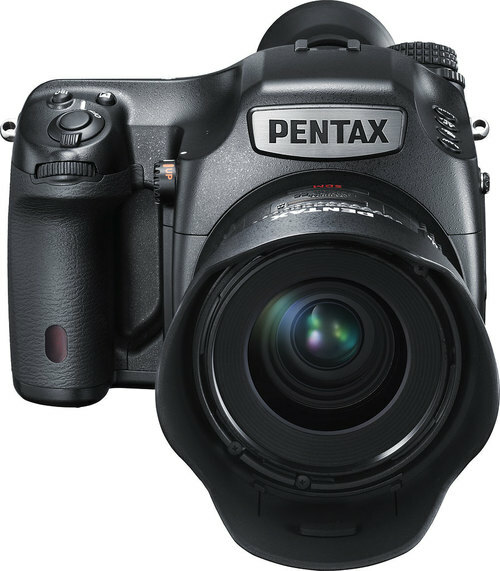 I chose one of the five, new generation lenses that Pentax have produced specifically for the digital version of this camera. There are a long line of currently produced AF and out-of-production MF lenses that are available for this mount that were designed for the original 645 film bodies and they will all mount perfectly well on the 645z but the quality of them is reportedly a mixed bag and not optimized for the amazing resolution that this new camera produces. In the end the choice was obvious: the HD Pentax DA 645 28-45mm F4.5 ED AW SR. That is quite a mouthful but it is essentially a wide angle zoom (roughly 21mm – 35mm equivalent in 35mm format terms) with ultra high quality and shake reduction. Shake reduction is extremely unusual for medium format lenses but it’s not something I really use since I have this camera mounted to a tripod whenever I use it. Like the body, the lens is weather-sealed and solidly built. The zoom and focus rings turn the opposite way to Canon lenses which I still have not gotten used to but they are smooth and well damped. The focus ring has a 180 degree range from end to end. The lens is very heavy at 1530g but looks and feels really well built. The filter diameter is 82mm which was handy as I already had a Cokin Z-Pro filter holder and adaptors that I use for my canon tilt-shift lens which has the same filter size. The lens has proven to be of simply stunning quality. I have not gotten better images out of any other lens with the exception of my Canon 500mm F4. That is a very high bar to get over and an unfair comparison because of the difference in field of view. The biggest difference I have noticed in comparison to my Canon lenses, apart from edge to edge sharpness, is the almost total lack of chromatic aberration (colour fringing). Even my very good Canon 24mm T-SE II plagued me with fringing that was difficult to remove and present even after the software lens profile correction had been done. Whatever minor CA has been present in the Pentax 28-45 completely disappears after Lightroom applies the lens correction profile and I have not had to do any post processing to remove any CA whatsoever at any focal length even for very high contrast edges. The focal range of this lens is suitable for probably 90% of the landscape images I will make and I still have my Canon gear to use if I need a different focal length or a different type of lens (like my tilt-shift lens for instance), so I probably will not get another Pentax lens. There are very good lenses available though including a 50mm standard and a 90mm macro. A 35mm prime has just been released and there are apparently standard and mid range zooms that are in the works to be released at some point in time. If I were to get anything in the future it would probably be the 90mm macro which would provide a longer focal length for landscapes, a great lens for family portraits plus the macro capability. The only other things I purchased were extra batteries and a cable release. Battery life is actually very good and I can stretch it to a few hundred photo’s which is more than enough to cover an evening plus a morning session with lots of live view and the camera left in standby. The cable release I only use during bulb exposures as the 2 sec timer is the better option in ‘M’ or ‘Av’ mode. Okay So Its HEAVY, That’s A Bad Thing Right? Well, yes and no. Yes it is heavy. The camera weighs 1550g and the lens 1530g so with the RRS Nodal slide and tripod I use it’s a fairly hefty package compared to other options. In a time when small and light high megapixel mirror-less camera’s like the Sony A7R are starting to make inroads on the heavier DSLR’s, jumping up to a camera this big seems counter intuitive. Most people would not like travelling with this camera but I would not hesitate to take it internationally if I was doing a landscape focused trip. As used as I am to travelling with heavy Canon kits to do wildlife photography with large telephoto lenses, having this camera and one other general purpose setup of my Canon 5D would not be that much of a problem. In reality this camera will mostly be used in Australia where I will travel by car and take short hikes to location and it’s really not that much weight to have in a backpack if I am not taking any other gear. There is actually a significant advantage to a heavy body over a lightweight one that most landscape photographers will find out at some point in time and that is to do with camera shake. A small camera on a tripod will be very susceptible to camera shake from wind. Vibration is the enemy of tack sharp images. I have even had problems with this with my Canon bodies. Hanging a bag or sandbag weight off the tripod centre post is often touted as a solution to this but I have not found this helpful in all cases as the bag or weight itself just acts as a sail and makes the wind issue worse. The sheer mass of the Pentax especially when mounted on my large carbon fibre Induro CT-314 tripod provides enough inertia that it resists the wind extremely well. This photo shows my small travel size Induro that would seem to be too small for the camera but when using the rail gives it balance. 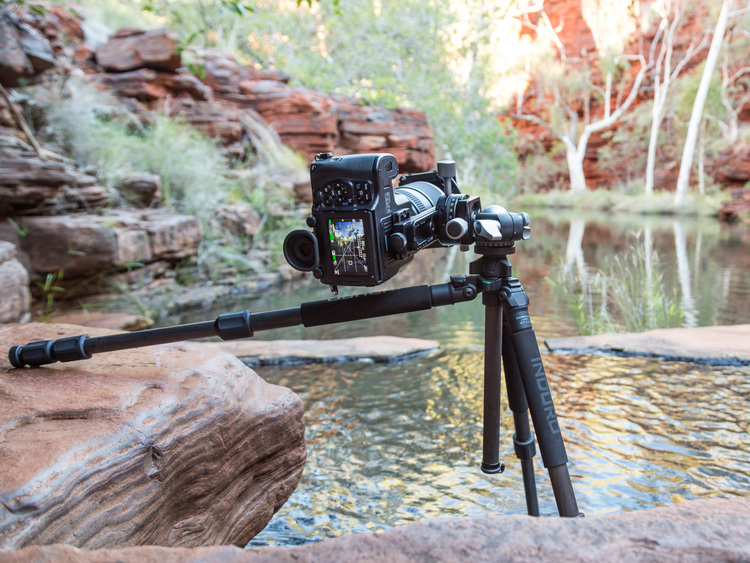 If I have to hike a long distance I will sometimes use my smaller Induro tripod which is the travel size CT-114 which is compact enough that I can attach it to my pack, leaving hands free for clambering over rocks. If I were to fit the Pentax directly to the ballhead it is so front heavy that it would almost topple the tripod if I wasn’t careful. I get around this by having it permanently mounted to my RRS Pano Elements kit, comprising of a panning clamp and nodal slide. This enables me to adjust the camera’s centre of gravity to a better position and also put the screen closer to me as well. Then when I wish to actually take a series of shots for a stitched panorama I slide the camera to the correct position on the slide and fire away. Part of the reason for the sheer size of the thing is the deep mirror box, so it’s not actually as dense or heavy as it looks and the very deep grip makes the camera the most secure to hold of any camera I’ve tried. With a good handhold on the grip it feels safe, albeit a little front heavy. The other thing to remember is that this camera (unlike featherweights like the Sony A7R) is built like the proverbial tank and is very durable and so well weather-sealed that you can literally hose it off to wash it if you want as this Youtube video shows (provides it is paired with a new generation AW – all weather lens). In other words it is the perfect camera for the outdoor photographer to use in all kinds of conditions.. The Pentax in action. 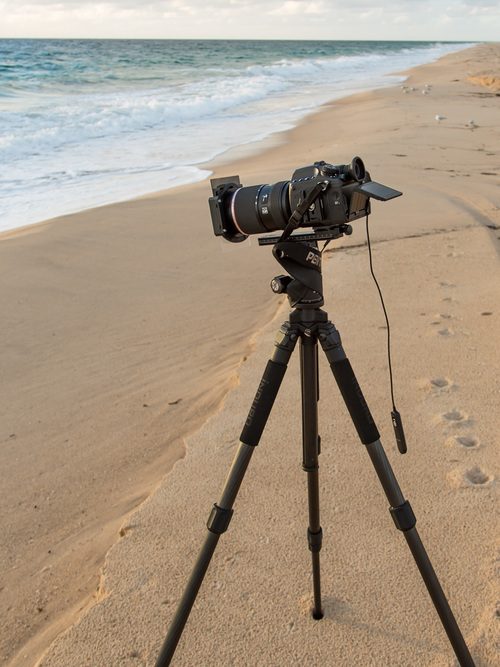 The beach photo is shown with my full size Induro tripod. The main point to make about this camera is that, unlike the other medium format digital camera’s on the market, the Pentax 645z is essentially like an over-sized DSLR. 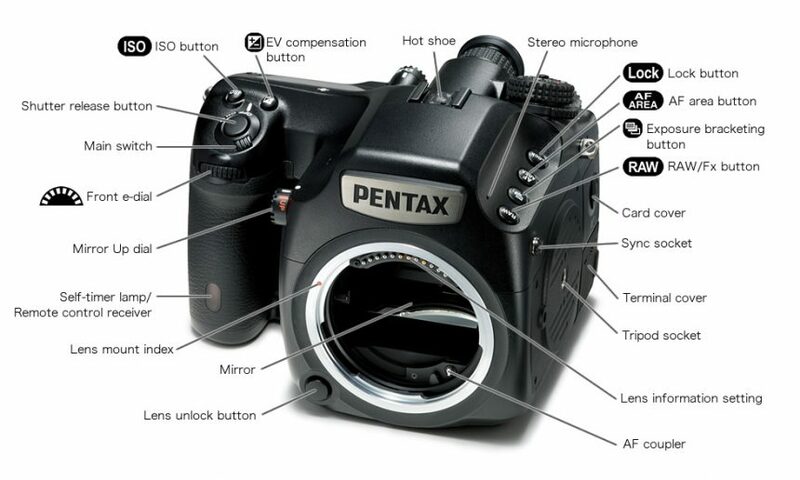 The menu system, button layouts and focus system is largely inherited from Pentax’s smaller APS-C format DSLR’s which undoubtedly keeps production costs down but also makes it possible to just pick the camera up and shoot without havingc to delve into the manual much. I don’t use the AF system but despite it only covering the centre of the frame (since it was designed for a smaller sensor DSLR) it works just fine. The menu’s are not as easy to use as Canon’s really well laid out system but it’s not far behind. Everything you need is there and it is mostly readily accessible. One thing it does have like Canon is 3 custom settings positioned on the main dial for having three different camera setups that can accessed at the flick of the dial. It also allows each of these settings to be named, something I long wished Canon would do. Another tick in the ‘pro’ column is the tilt-able rear screen which makes it way more comfortable for shooting in live view especially when, as I often do, I have the tripod at a lower level and I don’t have to bend and crane my neck to see the screen properly. It’s a pity it doesn’t fold sideways as well for shooting in portrait mode but you can’t have everything I guess. The screen itself is high quality and accurate (though not quite as good as Canon’s) and you can zoom in to 100% view to manual focus, something that I do as a matter of course when shooting landscapes. There are built-in electronic levels, plus the usual range of data that you will find on LCD’s and in viewfinders. Also unlike Canon, there is a built-in mirror lock-up switch that can be used without diving into the menu’s. Even better, when using the 2 second timer this automatically engages the mirror lockup function. 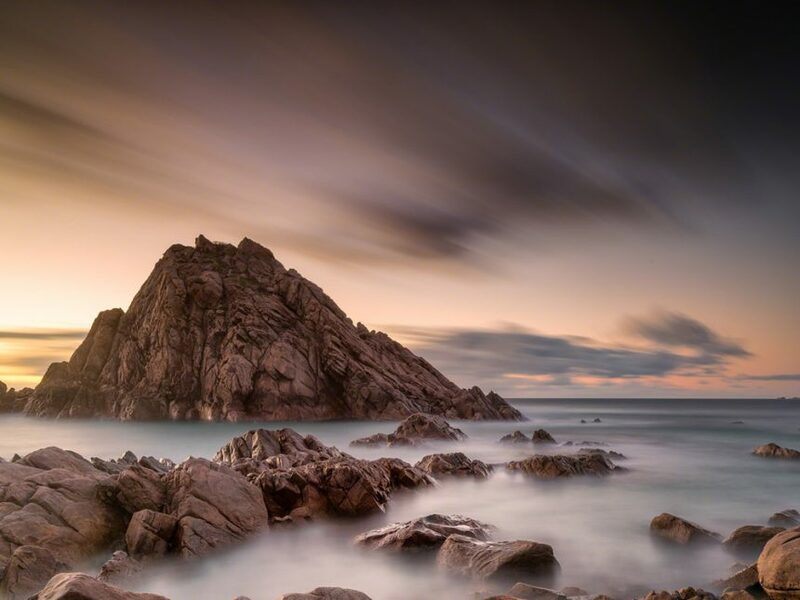 When using the 2 sec timer the shake reduction on the lens also turns off automatically. In fact the camera is so well designed that you don’t really have to use the menu system at all once it is set up the way you like. 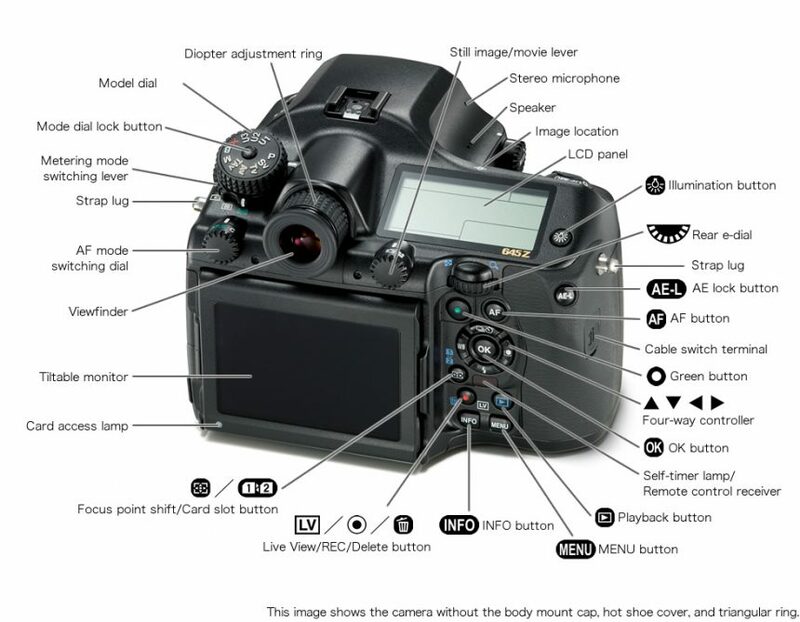 All the camera adjustments needed are found in the buttons and dials on the body, something I find way more practical than what you end up with on smaller camera’s with less body ‘real estate’ for controls. Another interesting thing is that exposure compensation can be used in ‘M’ mode. Effectively this builds in the amount of compensation you have set into the exposure meter reading. Useful if you want to shoot a series of images with a constant exposure bias like you would do if in ‘Av’ mode but it can also be done in M mode. There is also a ‘Tav’ mode that allows setting the aperture and shutter speeds then letting the camera choose the ISO. This is not all that useful for landscape photography but I find it an interesting feature. In terms of focusing I generally use manual focus when zoomed in to 100% but there is also the very useful focus peaking that is now standard in mirror-less camera’s but non-existent in Canon DSLR’s. This feature would be very useful when using some of the older manual focus 645 lenses but I tend not to use it for tripod based landscape work. Another extremely useful feature of the large body is that it has two tripod mounts, one underneath and one on the side. This allows 2 quick-release plates to be mounted so the camera can be attached vertically without needing an L-bracket. I actually prefer to have just the one plate attached to the bottom mount then I use the side mount for the screw-in eye for my black rapid strap which makes it easier to carry around and swap between the strap and tripod mounting. Another great feature is the dual card slot. On an extended trip somewhere it is nice to be able to have two large cards fitted to capture all those huge files. I would have preferred CF cards instead of SD cards since I have more of those from using Canon but at least the SD cards are more compact. Really the only major complaint I have about the body design is that the socket for the cable release is located in the palm area of the grip where it gets in the way while you are trying to hold the camera to move it on the tripod. Overall though I find the camera extremely customizable, easy to use, dependable and almost perfectly suited for my landscape photography purposes. I will ignore out of camera .jpg quality even though it is reported to be excellent. I shoot RAW 100% of the time and have no need of the camera’s built in .jpg recipes or options. RAW files out of camera are quite flat and slightly muddy in appearance but are almost endlessly malleable in post, like a lump of clay. 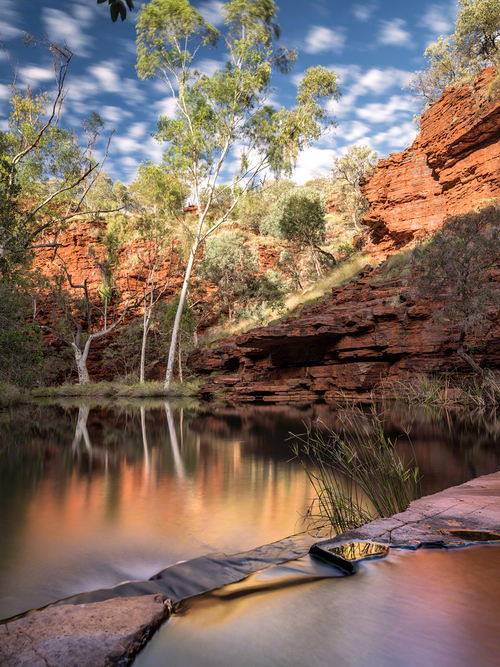 The native file size is 8256×6192 pixels and around 65mp and can be set in-camera to write to the adobe standard .dng file type rather than Pentax’s own raw format . Once exported into 16 bit TIFF files with a few Nik Software adjustment layers I end up with files that are 1.1-1.5 gigabytes in size. Very large files true but I have the computer to handle them (or much larger stitched panoram’s) without any problems. If taken with good technique (proper focusing, solid tripod, mirror lockup) the files are full of detail which really is what this whole camera is about for me. Combined with the fantastic 28-45 lens I am finding the images everything that I hoped for in terms of resolution but the biggest revelation to me was dynamic range. DR is not something I realized I was lacking with my Canon files until I started playing around with images from the Pentax. 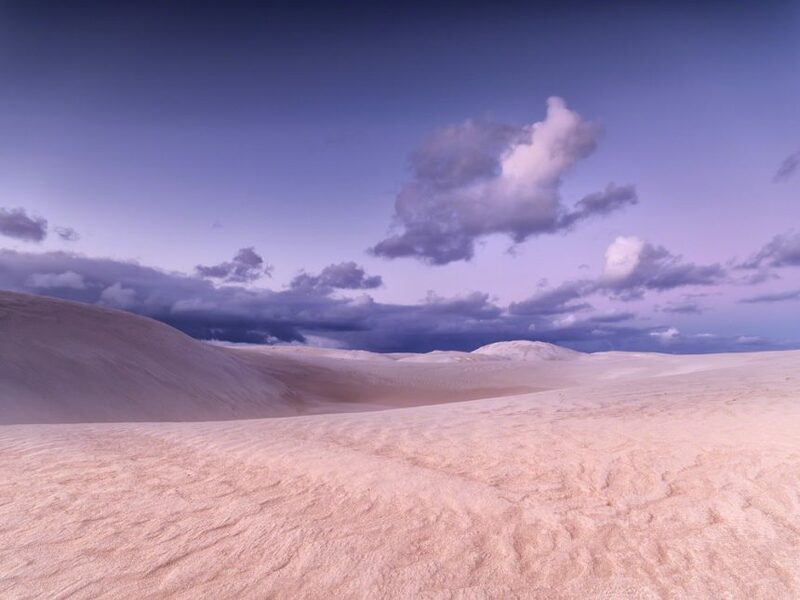 With so many pixels, panoramic style shots can be achieved by cropping the image down but why not go for broke and do stitched panorama’s as well? The original of the following image is 14,560 x 5139 pixels in size. We are talking billboard size prints now, the sort of image that could fill the wall of a hotel foyer or a waiting room. I may never print that big but it’s nice to know that I could if I wanted to. I have been used to ‘exposing to the right’ for a long time with my Canon bodies. ‘Exposing to the right’ is making sure you capture a well exposed image that is as bright as you can make it without clipping the highlights (watching the histogram is essential) so that you get as much detail in the shadow area’s as you can. Brightening these dark parts of the image up in post typically introduces a lot of noise and there is a limit to how much detail you can recover. However, with the Pentax my shooting style has changed a bit. It has so much dynamic range that I can often expose for the sky to maintain the maximum highlight detail, even in high contrast situations, and know I can then pull gobs of detail out of the shadows in post, without really sacrificing much image quality. 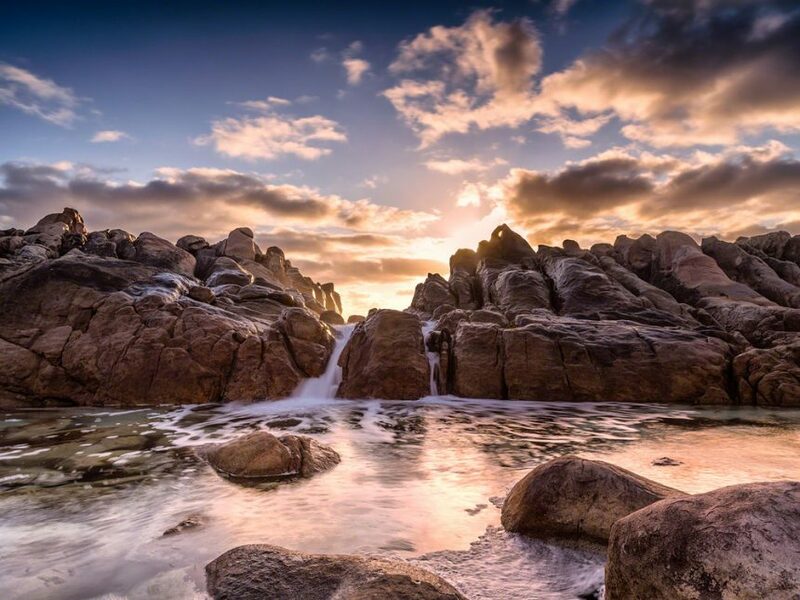 The following example shows an accidentally underexposed image of Sugarloaf Rock in Yallingup. It was very dark at the time and exposures at this hour are always a bit of trial and error. In this case even a 167 second exposure left the image too dark. Ordinarily I just would have binned an image like this but just to see how far I could push the Pentax files I processed it in Lightroom with the exposure pushed a full stop and the shadows at +79 on the shadows slider and highlights at -69. I then finished with Nik Viveza and Nik Dfine layers. Amazingly there is bags of detail in rocks that are almost a silhouette in the original RAW file. To be clear I am not suggesting that this is the sort of workflow that will get the very best images. There is certainly some noise introduced, however the quality is such that I am 100% confident that I could print the final image at the sort of sizes I was printing my Canon files (600-700mm long) and it would compare more than favorably. The second example is an even better indication of the advantage given by the camera’s dynamic range abilities. I was shooting into the setting sun (with a graduated ND on) and any longer on the exposure and the sky would have had blown out area’s but I was able to process the files to pull back all that detail from the rocks. The final image has very little noise and would print up to a full 1200mm long print or larger with no problems. Although I have never really used the HDR technique much (I always had trouble getting a natural look) I could see its attraction at times. Now however I would suggest that the DR this camera has, along with judicious use of a graduated ND filter, makes HDR unnecessary and undesirable – at least for me. Canon (and other DSLR camera’s) use a 2:3 image ratio. The Pentax provides a native 4:3 ratio, something I had not really taken into account much when researching the purchase. I have found this to be an unexpectedly pleasing ratio to work with. I find it more natural to look at and it means that I can capture a scene with more attention on foreground and sky which I like. I like it so much in fact that I have found myself processing or re-processing many of my Canon images to the same ratio even though it means losing precious pixels in the crop. 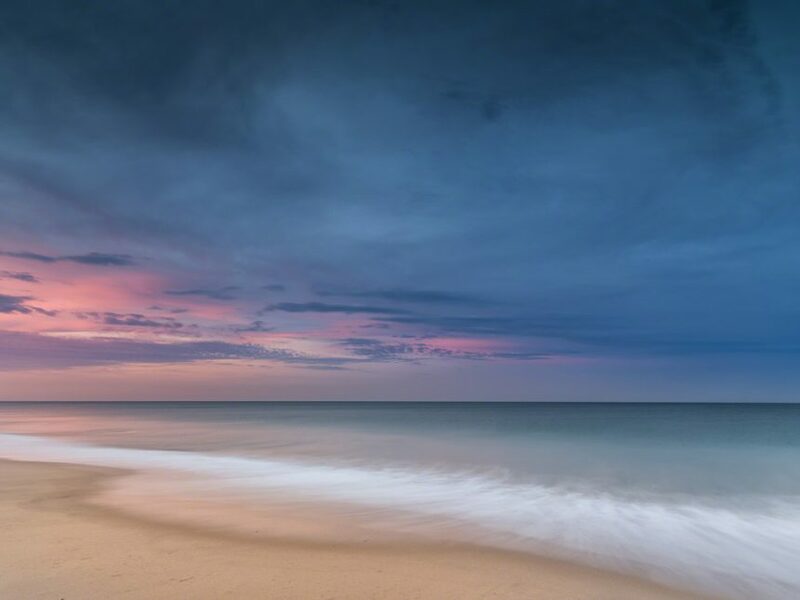 If a scene really deserves a longer ratio image I go for stitched panorama’s and process to a 16:7 ratio – or I can crop a single frame down and still have plenty of pixels left to play with. At the end of the day I bought this camera so I could do some enormous, detailed, amazing prints. 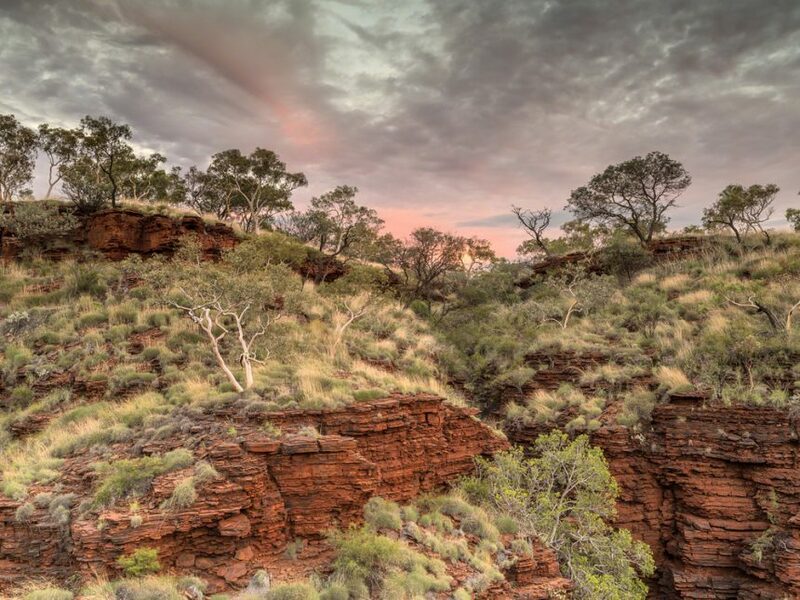 My first print was of the following image taken in Karijini National Park on my first serious test of the camera. It is 900×1200 in size (36×48) and is sharp even when you hold your nose to the print. My wife described it as ‘feeling like you are actually standing there in real life’. I have no doubt that if I had the wall space I could print the files 1300×1750 (48×70) and they would still look amazing. As I mentioned earlier, there really is no reason to have a camera with such a high resolution sensor unless you plan on doing some printing. It is only when the image is realized in the print (and by that I mean a large print) that you get the full effect of just how good the images from this camera are. 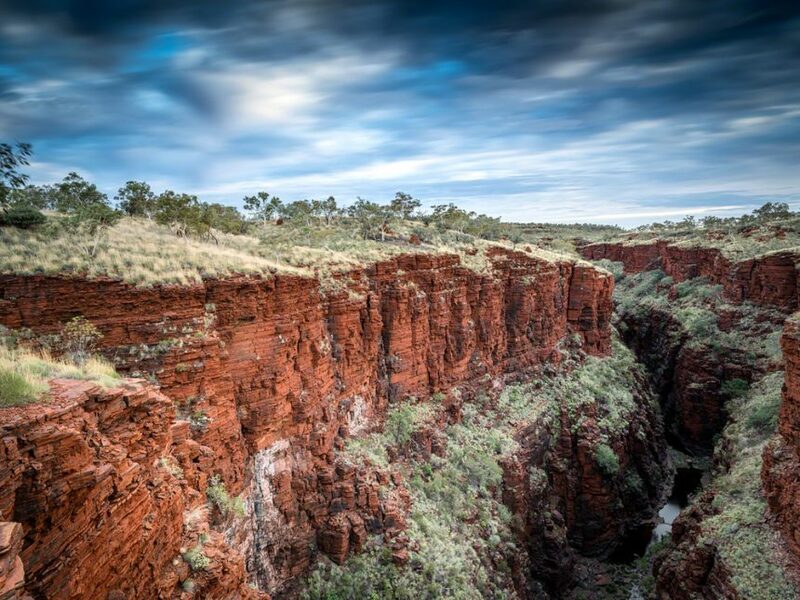 You do not need a camera of this calibre to get amazing landscape photo’s. The work of many fine photographers will attest to this. However, the interesting thing is that for the first time ever I feel like I have a landscape photography tool that will serve me for the long haul. The Pentax 645z is a workhorse that will be churning out images of stunning quality for many, many years to come. I will never need more resolution and the image quality is so good that regardless of future advances in sensor technology, I will never have any excuses about the quality of the work I produce with it. If I had purchased a small A7Rii mirror-less camera I don’t think I would have been able to say the same thing as mirror-less cameras are not yet a mature product line and I have serious doubts about long-term durability. If I had purchased the Canon 5DS I would have been missing out on the amazing dynamic range the Pentax 645z has. Buying a Nikon D810 was not really an option as I did not want to buy into a new 35mm DSLR system to run alongside my Canon DSLR system. In the long term I may even save money as I can get off the money-go-round of upgrading camera bodies and lenses that is so tempting with the faster product cycles of DSLR or mirror-less camera systems. In conclusion the combination of the Pentax 645z with the 28-45 zoom lens is a formidable tool for the job – maybe even the perfect tool for the job, at least for me. Is it worth the money? For a pro photographer making a living out of the camera I would say absolutely. I don’t make a living out of photography so it is harder to justify the camera financially. 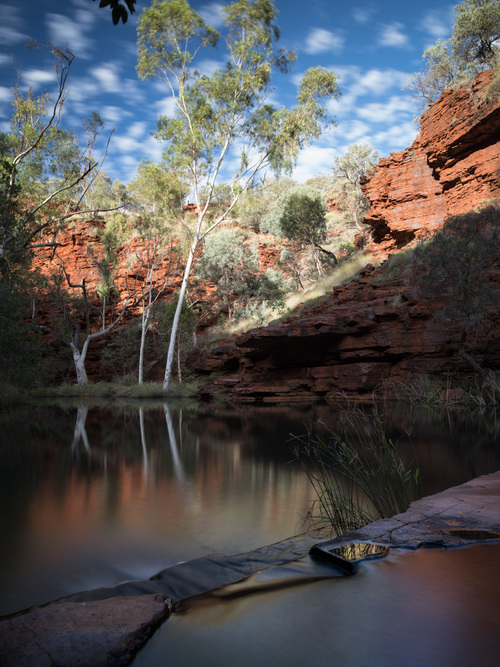 I can say however that it has enabled me to capture much better landscape images than I could with my Canon gear and inspired me to get out there and do a lot more landscape photography in the amazing country I live in. I’m still less than a year in with my experience with this camera so I am sure I have more to learn on how to get the most out of it including experimenting with focus stacking techniques to improve the depth of field and finding unique ways to use my single lens. I am going to enjoy the ride. The official Pentax promotional video. 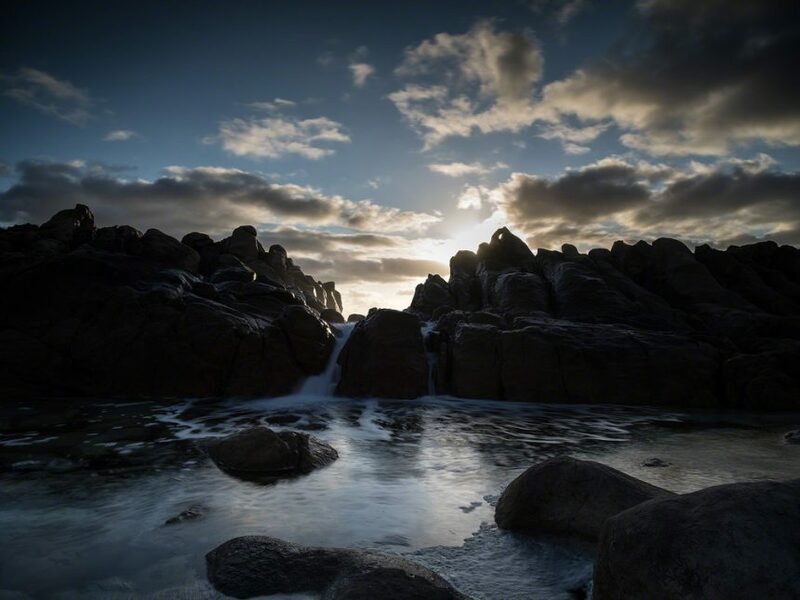 Morden O’Hare is an amateur photographer who is passionate about travel, wildlife and landscape photography. His life-long love of Africa has led him to make trips to Namibia, Kenya and Botswana where most of my wildlife images have been taken. 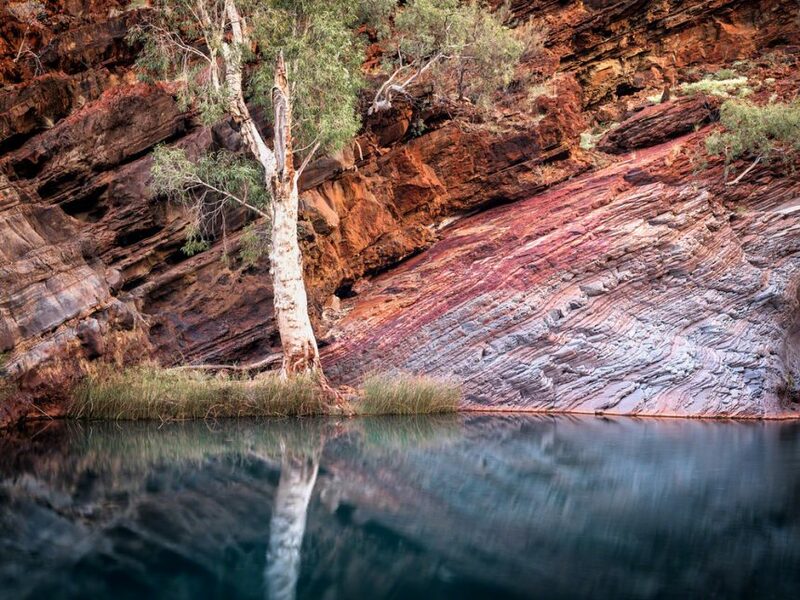 Australia’s amazing landscapes have been his main inspiration for photography at home and he intends on doing much more landscape photography in the months and years to come. Je suis un adepte du 645z depuis trois ans et effectivement c’est un pur bonheur. Malgré son poids il reste maniable. Il reste simple d’utilisation car tout est réglable facilement par des boutons simples et bien en vue. 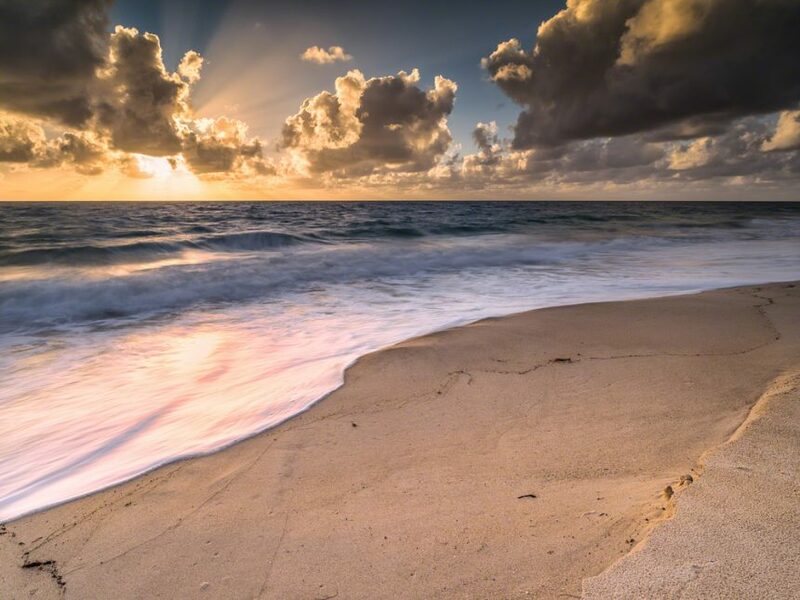 Sa plage dynamique est extraordinaire. Le format 4:3 est très agréable. J’ai revendu mon Leica M10 pour pouvoir le payer et bien franchement à part la discrétion que j’ai évidemment perdu je ne regrette rien. Appreciate this review. With visiting more national parks in the US, I’m more interested in getting shots that I can print at very large sizes. Just not sure this camera + lens will ever meet the SAF (Spousal Acceptance Factor). Nice work Morden, thank you. I would like to see the sharpness of an image at 100%… Could you either crop and publish or provide a link to an image? I’d love to see how the final detail is. thx!